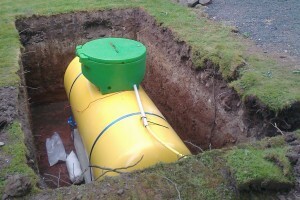 Installation of a Below ground LPG tank. 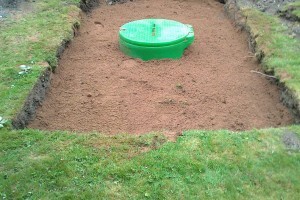 The hole was excavated to specified size for the tank. 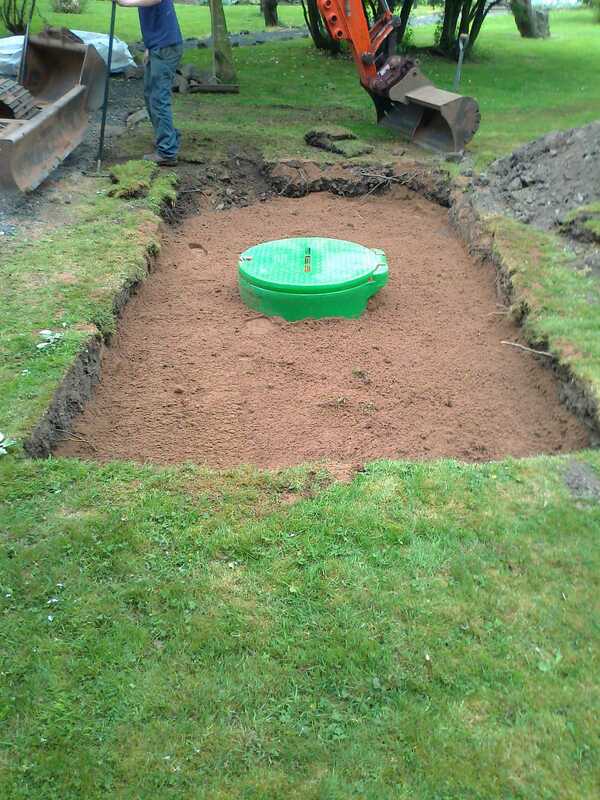 Once the tank suppplier had completed the tank installation the hole was backfilled with sand to form a protective surrounding. The site was then reinstated by filling the remainder of the hole with top soil and the origional turf replaced to previous level.